When I took microbiology I learned that in order to sterilize our equipment and culture media (the agar, the gel stuff that is used to grow bacteria) every single bacteria and spore had to be destroyed. If even just one survived, then in the space of several days it could reproduce at an exponential rate producing millions more. In order to do this, we used an autoclave. 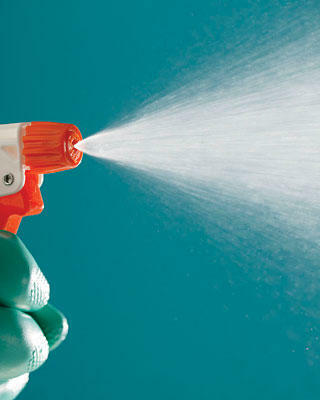 From time to time we would use disinfectants to clean our work areas, and this was helpful, but it did not assure that every germ was destroyed. Additionally, in an attempt to grow bacteria on a Petri dish we would perform a special procedure (called “streaking for isolation”) in order to test a colony of bacteria that grew from a single bacterium. I thought of this while reading Genesis 7 this morning. The Lord puts Noah and his family on the ark, and floods the world. Human evil was so bad that God wiped out the world with a flood, like a bunch of disinfectant. But Noah—a righteous man—and his sons survive to provide a fresh start. It is not long after the floodwaters recede that we find that not only has Noah’s family survived, but so has the problem of sin and corruption. In Genesis 9:20-28 we see that this lone family experiences serious “dysfunction” through alcohol abuse and sexual sin. The problem of evil had survived because it was located in the fallen hearts of people. We read in other places how people respond to God’s discipline and judgment with anger and hatred. In Rev 16:9 we read, “and men were scorched with great heat, and they blasphemed the name of God who has power over these plagues; and they did not repent and give Him glory.” It would appear once again that judgment is not enough to remove sin. It is like a disinfectant that can sometimes restrain it. The inevitable question confronts us: is there any hope at all for the elimination of evil? Hebrews 12:23 speaks of those who are, “registered in heaven,” where we find “the spirits of just men made perfect.” This will be the payment in full of the plan of the gospel to redeem fallen men through Jesus. Romans 8:29-31 tells us that the final destination of those who believe in Jesus is to be “glorified,” and to be made into the “image of His son.” The bad news of judgment alone is not sufficient to remove sin, it takes the good news of grace to do that. This is why Peter tells us “gird up the loins of your mind, be sober, and rest your hope fully upon the grace that is to be brought to you at the revelation of Jesus Christ.” (I Peter 1:13) The return of Jesus is a day of expectation for believers even though it is a day of judgment. It is a day of expectation because it will be a day of grace, and we are to look in hope towards that future day in order to have strength to live in the present.